Southern Resident Killer Whales are endangered; only 85 remain. In today's modern ocean they face many threats simultaneously. A holistic approach to addressing the cumulative impacts of all threats is needed. However, data are sparse, making it difficult to identify which threat(s) is causing the most harm. We are developing a new, comprehensive way to assess threats by having experts fill data gaps. With your help, we can pinpoint which protective actions will help Southern Residents recover. Southern Resident Killer Whales are a small population of the iconic top predators that inhabit coastal waters of Central California north to Southeast Alaska and mainly eat salmon. It's believed there were around 200 Southern Residents until the 1960's when 47—over 20% of the population—were captured live for captivity in marine parks. That, combined with other threats, reduced the population to 67 by 1971. Since then, it has oscillated between the high 60s and low 80s. Currently, the population is 85 and it's believed that their largest challenge is finding enough salmon to eat. However, their plight may be more complicated because they are exposed to many threats all at once. We aim to quantify, rank, and prioritize threats in order to protect whales in the modern ocean. At first glance, data may seem scarce. Marine mammals are notoriously difficult to study because they are highly mobile and spend the majority of their time underwater where they are difficult to directly observe. In addition, some of the threats they encounter, such as underwater noises (think boat traffic), are hard to measure across space and time. It's even harder to measure how various threats affect whales. But in reality, a wealth of information exists among the many researchers (e.g., CWR) who have dedicated their entire lives to studying Southern Residents. Those experts can enhance our understanding of the multiple threats that are impeding the recovery of the Southern Residents. In our study, we surveyed 16 experts that in sum have over 300 years experience! Current marine resource management tools typically address threats to whales one-by-one, for example setting quotas for how many whales are permitted to accidentally interact with fishing gear (known as "bycatch"), and banning commercial whaling. However, the ocean is getting busier and busier, and therefore we need to account for all threats, direct and indirect, in order to adequately protect whales. The overarching goal of this project is to develop a way—even in data-limited situations—to assess all threats to Southern Resident Killer Whales simultaneously and comprehensively. Our approach (see "Methods") enables the identification of research needs and management priorities given specific population recovery goals. It is also transferable to any whale population in any ocean! OPEN SCIENCE, OPEN MINDS, HEALTHIER OCEAN This research started with seed funding from the National Center for Ecological Analysis and Synthesis, however since then we have struggled to raise additional support for this important work. This workshop is a critical final step for us to be able to complete the research, and submit our findings to an open-access scientific journal. Usually scientific papers appear in journals that require a hefty ($$$$) subscription to access, but with your support, we will ensure that this research will be readily available to anyone around the world that has internet access. Open science is essential for quickly sharing new information, best practices, data, research methods, and emerging ideas. We are dedicated to distributing our research as widely as possible to improve marine mammal conservation and management, which is why we feel strongly about paying the extra fees to make our paper open-access. I think this is a critically important study. This population is so fragile and there are so many factors that are impacting their numbers. I am so interested to know more about how to better protect the resident pods. I am very excited for this research project. I believe it will help aid in conservation efforts and highlight threats for the Southern Residential Killer Whale population. These scientists are forging the way and setting the framework to not only protect this vulnerable cetacean population, but other extremely endangered and threatened populations globally. Despite growing up in land-locked Syracuse, NY, Lindsey’s life has been dominated by the ocean. After spending her childhood summers on the rocky shores of coastal Maine, she studied marine science at the University of Miami (FL), James Cook University, Duke University, and the University of California, Santa Barbara. Her research focuses on large marine vertebrates—marine mammals, sea turtles, birds, and fish—that migrate long distances to feed and breed. Lindsey’s investigations focus on where these animals are, what they eat, and how they move when they are far from shore in the open ocean. She uses non-invasive approaches to address her research questions including animal tagging, biochemistry, genetics, habitat modeling, and spatial analysis. As an applied marine ecologist, she aims for her science to inform the conservation and protection of ocean animals and their environment. She seeks to identify the multiple natural and anthropogenic pressures that threaten their survival, and collaborates with academics, government agencies, advocates, and other stakeholders to improve natural resource management approaches. The coasts and oceans of Mexico, Central America, the Papahānaumokuākea Marine National Monument in the Northwestern Hawaii Islands, Australia, the Channel Islands, and the Antarctic are a few of the amazing places Lindsey’s research has taken her. During her down time, Lindsey loves to travel and explore both above and below the sea surface. Her newest hobby is outrigger canoeing, and she also enjoys hiking, standup paddleboarding, running, yoga, cooking, and photography. I'm an Associate Research Biologist and Center Associate at the National Center for Ecological Analysis and Synthesis and a member of the Center for Marine Assessment and Planning at UC Santa Barbara. In my research, I work to quantify the ways humans depend upon and impact marine species and ecosystems; understand the spatial distribution of ecological and human components of ecosystems in order to inform conservation and management; and through partnerships, develop ways to integrate biophysical and socioeconomic data to support environmental decision-making in coastal ecosystems. My research has been aimed at informing marine protected area design, ecosystem based management, and marine spatial planning. I currently leads a large, multi-institution collaboration called the Ocean Tipping Points project, which is aimed at integrating our growing understanding of tipping points in marine ecosystems into ocean management through practical tools and approaches. I also serves on the Science Advisory Council for SNAP: Science for Nature and People, and provide facilitation services to SNAP working groups, drawing upon my experience participating in and leading NCEAS working groups and other interdisciplinary, collaborative team science projects over the years. I'm passionate about helping diverse groups come together to solve challenging problems. I received my B.S. from Brown University and my Ph.D. from Stanford University and spent five years in between working as an environmental educator for the Teton Science Schools, Ogden Nature Center, and as an independent consultant. I continue to contribute to environmental education as a Board Member of Ecology Project International, a nonprofit whose mission is to improve and inspire science education and conservation efforts worldwide through field-based student-scientist partnerships. 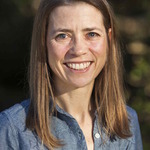 Leah Gerber is a Professor of Ecology, Evolution and Environmental Sciences in the School of Life Sciences, Senior Sustainability Scientist in the School of Sustainability, and Founding Director of the Center for Biodiversity Outcomes (CBO) at Arizona State University. 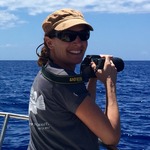 Gerber is a population ecologist and marine conservation biologist who is committed to a strong empirically-based marine research program and in connecting science to policies for sustainable resource management. As a population ecologist, she works at the interface between behavior, population ecology and demography of long-lived marine species. As a conservation biologist she works with government and non-governmental organizations to ensure that basic research is applied in relevant conservation settings. 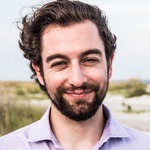 In both endeavors, Gerber employs empirical and modeling approaches to understand marine systems connect academic pursuits in marine biological sciences to tenable decision tools and policy. With a grounding in natural history and primary data collection, quantitative methods, and an appreciation for the interactions between humans and the environment, Gerber has pioneered new approaches in protected area design, population viability analysis, and incorporating uncertainty into environmental decision-making. Gerber has published broadly on life history, dispersal, monitoring, adaptive management, animal behavior and ecosystem-based management. She is a National Science Foundation Career Awardee and an Aldo Leopold Leadership Fellow. As the Founding Director for CBO, Gerber aims to accelerate the success of biodiversity management and sustainable biodiversity outcomes by fostering relationships amongst academics and decision makers. Dr. Gerber can be followed on Twitter @Leahleopold. June 3-day workshop a success! 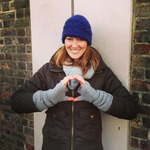 Your donation will be doubled!! The Center for Biodiversity Outcomes at Arizona State University will match your donation dollar-for-dollar. Special thanks to Melisa Pinnow for allowing us to use her amazing photos of Southern Resident Killer Whales.